Alabama religious leaders Norman Henry “John” McCrummen II and Clare Purcell will be inducted into the Alabama Men’s Hall of Fame Tuesday, Sept. 23. The honorees, one a Baptist and one a Methodist, were selected for induction as men “whose lives have impacted the state, the nation and the world.” Inductees must have been deceased for at least two years. Plaques recognizing all the men who have been honored since the Hall of Fame was founded in 1987 are housed in Samford University’s Harwell G. Davis Library. 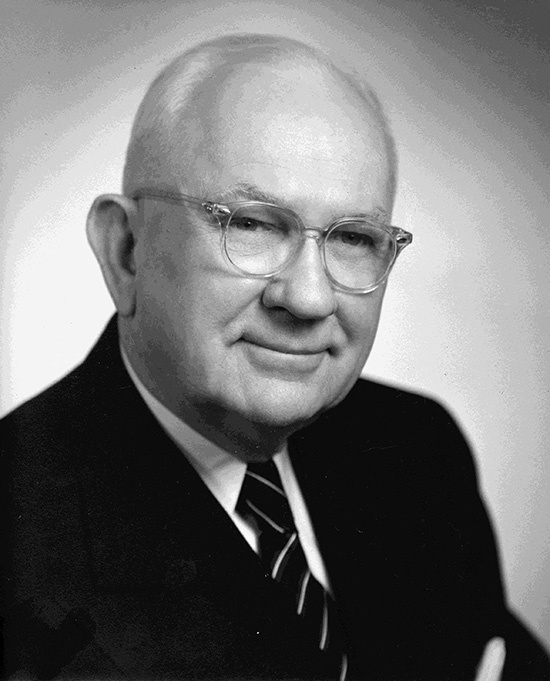 McCrummen, who died in 2002 at age 81, was pastor of Alabama Baptist churches in Atmore and Selma and at Woodlawn Baptist Church in Birmingham before being named president of Judson College in Marion, Ala., in 1970. Purcell, who died in 1964 at age 79, served Methodist churches throughout Alabama before being named a bishop in 1938. He was elected to the Methodist church’s highest national post as president of the Council of Bishops in 1955. At Judson, McCrummen established an academic option that enabled students to complete four years of work in two years and 10 months. He helped organize the Council for the Advancement of Private Colleges in Alabama and the Alabama Consortium for the Development of Higher Education, and was president of the Association of Southern Baptist Colleges and Schools. While in Birmingham, he helped establish education rehabilitation programs for prisoners. The author of a collection of sermons, A Dozen Roses, he retired as Judson president in 1990 and served as chancellor until his death. A Montgomery, Ala., native, McCrummen held a bachelor’s degree from Mercer University, a master of divinity from Southern Baptist Theological Seminary in Louisville, Ky., and an honorary doctor of divinity degree from Samford. He was a U.S. Air Force communications officer in the Philippines and Okinawa during World War II. Purcell, a Columbia, Ala., native, was known for his role in facilitating the union of the Methodist Episcopal Church South, the Methodist Episcopal Church and the Methodist Protestant Church in 1939. He was known as a “denominational statesman” whose ministry touched the lives of not only Alabamians, but people throughout the U.S. and the world. He was made an honorary citizen of Korea for his work with the Methodist committee on relief on behalf of Korean War refugees and was president of the Methodist Commission on World Service and Finance. He was an advisor on social programs to presidents Franklin Roosevelt and Harry Truman. Purcell held bachelor’s degrees from Birmingham-Southern College and Vanderbilt University, and several honorary degrees. He was a U.S. Army chaplain during World War I. The public is invited to the induction luncheon at 11:30 a.m. at The Club in Birmingham. Reservations are required, and may be requested by calling Alabama Men’s Hall of Fame executive secretary Annette Green at (205) 879-3935 or emailing anniegreen2404@gmail.com. Deadline for reservations is September 15.